If you are in need of a packaging machine that packs your ready-meal products, you have come to the right place. PakSmart offers a high-speed wrap around case packer that precisely packs ready-meals. You can rely on our PB60AL Wraparound Cartoner to produce thousands of accurately packed ready-meals for your business. 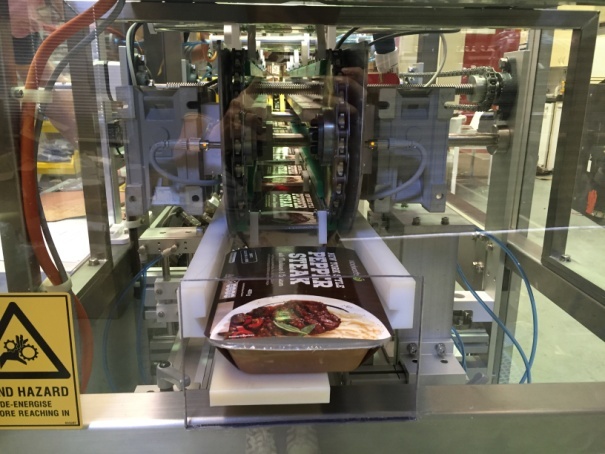 Our wrap around cartoning machine guarantees that your business’ ready-meal products have a very tight fitting sleeve wrapped around its container to preserve its contents before consumption. Sleeving or banding of ready meal trays, tubs and pots. The sleeve is either glued to the tray or a very tight fitting sleeve around a tray. 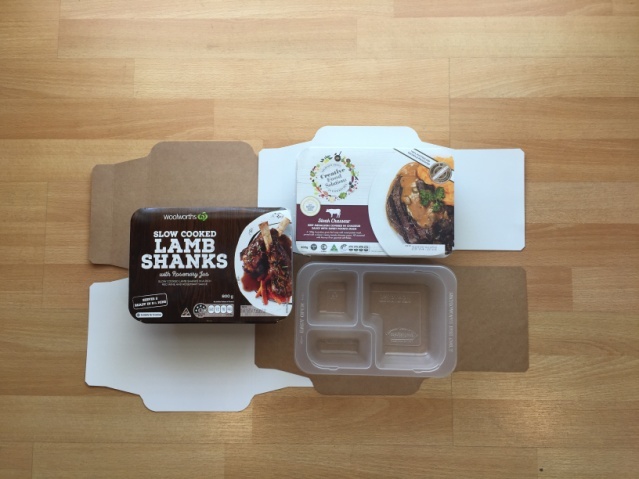 Ready meals are an alternative meal that is quick and cost-effective, which just requires heating before consumption. Material cost is kept to a minimum as sleeves are supplied in a flat blank form. Labour cost is also kept low and the optional automatic product transfer can save even more labour when linked to the upstream tray sealing system. Size changing of cartons is down to less than15 minutes. Motorised depth adjustment for accurate fast size change. State of the art controls allow for a simple design approach making the PB60 easy to use. Our wrap around packer is designed to accommodate the sleeving or banding of ready meal trays, tubs and pots. At speeds of up to 60 sleeves per minute the cartoner automatically feeds, folds and unites a carton board blank and a thermoformed or foil tray. The wraparound sleeve is sealed using hot melt glue. The auto load carton machine with an inline conveyor infeed will place the trays of product under carton board bands forming the inner carton or sleeve. The sleeve and tray are then processed by the PB60AL. 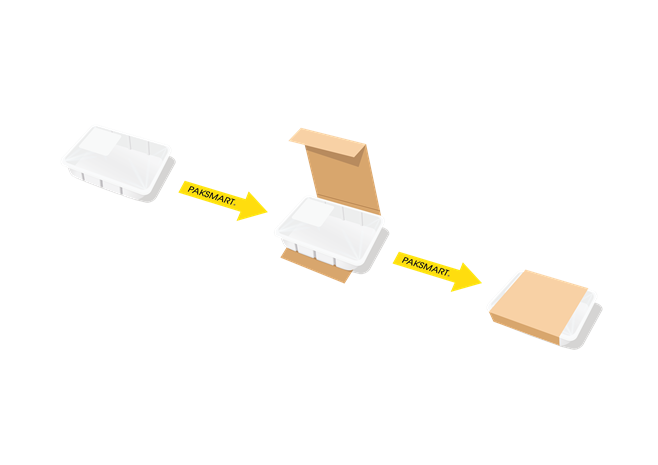 Completed banded products will exit the end of the machine ready for packing into an outer carton or shipper. These systems are fully guarded to Australian Standards for operator safety . 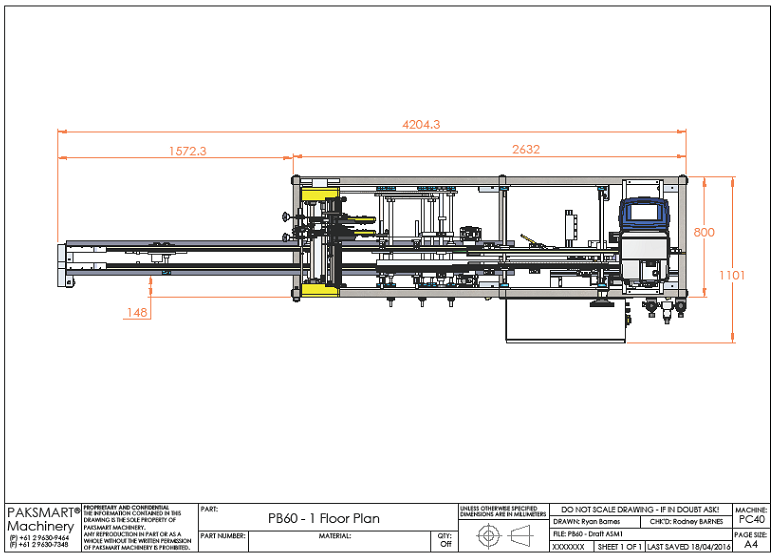 It suites 24 hour operations and has rapid size change features for short run product lines. The intuitive touch HMI panel assists operators with machine status display showing running and stopped conditions. Machine function diagnostic checks, including guard doors and fast size change with recipe setup. Machine settings for timing and production speed are separately recorded for each unique product. 3 Dimensional carton size change is achieved in less than15 minutes. 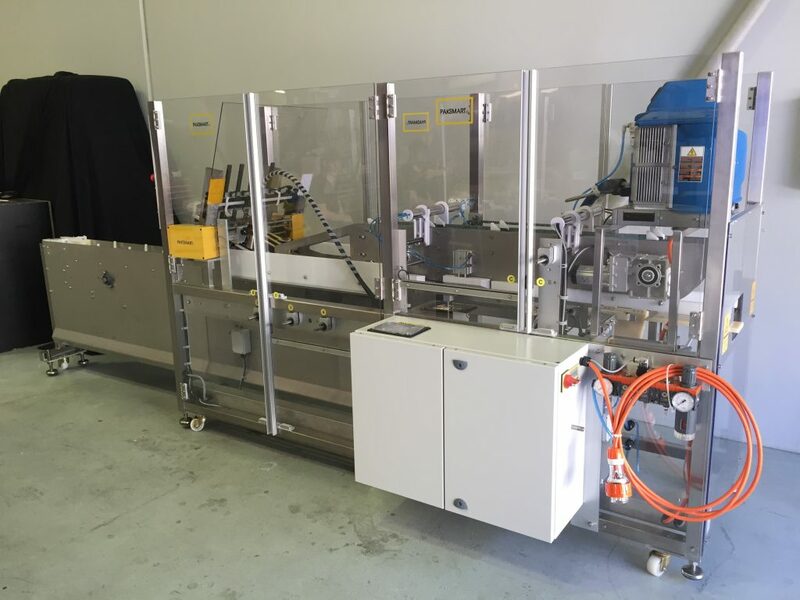 For over 18 years, PakSmart Machinery has proudly served the Australian food, pharmaceutical and contract packing industry. We are committed to manufacturing packaging machinery that improves and simplify packaging processes. If our customers need help with their business’ packaging processes, we will gladly tailor our solutions to meet their expectations for their business to increase their packaging productivity. Call +61 2 9630 9464 or fill out our contact form to inquire about our packaging solutions.